Born in Ahmedabad, Gujarat. 1908 Sent to Europe for higher studies by his grandfather Sir Navroji Vakil. 1913 Sets up a studio at Chowpatty, after returning from Europe. 1930 Commissioned by Govt. of India along with Atul Bose to paint royal portraits from the originals in London, for Viceroys House, now Rashtrapati Bhavan, New Delhi, New Delhi. He painted the portrait of King George V, which is hanging at Buckingham Palace, London. 1931-33 Chairman, Board of Examiners, J.J. School of Art, Bombay. 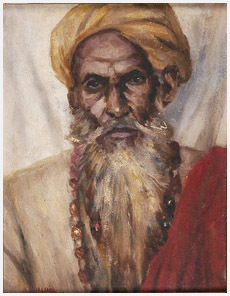 1948 Vice-President, Diamond Jubilee Exhb., Bombay Art Society, Bombay. 1952, 1952-53, 57-58, 1958-59, 60, 61, 62 Vice-President, Annual Exhb., Bombay Art Society, Bombay. Educated at Ahmedabad High School, Ahmedabad and Elphistone College, Bombay. 1903-07 Studied at J.J. School of Art, Bombay. 1908-13 Joined St. Johns Wood and Westminister School of Art, London and learnt portrait painting under artist A. Stanhope, Paris. Group exhb., Delhi Fine Arts Exhb. Society, New Delhi. 1936, 40, 44 Annual Exhb., Bombay Art Society, Bombay. His painted Royal portraits were much appreciated by the Viceroy and Lady Irwin, London. 1931 Reception was organised on his return from England by the members of Art Society of India, Societys Hall, Girgaum. 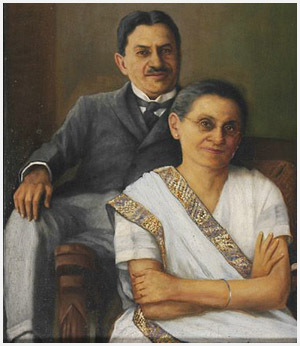 1931-33 First Indian to be appointed as Deputy Director, J.J. School of Art, by Govt. of Bombay, Bombay. He was the Dean, J.J. School of Art, Bombay.